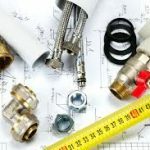 Established in 1978, Plumbing and Drains Solutions is a family-owned and locally operated business based out of San Diego. We are the best plumbing company in San Diego and our expert technicians provide the highest quality service in town. Call (619) 345-5550 and see why customers make Plumbing and Drains Solutions their plumbers for life! Owner Efren Molina is a 3rd generation plumber. He loves having the opportunity to solve problems that have a positive impact on people’s lives in an immediate way every day. Providing top-quality customer service is a very gratifying experience, which is why we go to every length and measure to ensure that our customers are 100 % satisfied. With our number of customers growing every day, we make sure that our business and staff is growing to meet your plumbing services needs. Our operation is growing based off of the success of our positive feedback and customer referrals. We are thankful that these satisfied clients are passing along the news to friends and loved ones by word of mouth. We are proud of what we do and we want you to have as much faith in our work as we do, whether it’s repairing a shower valve or installing a new faucet or water heater. That is why we back all of our work with an exclusive one-year warranty, so if anything does go wrong, you can count on us to quickly resolve the problem once and for all. We come up with alternative solutions to every problem, which helps us stand out in the plumbing industry. That is one of the many benefits of hiring experienced technicians like the ones at the best plumbing company in San Diego. Call us today for a plumbing service estimate from San Diego’s top rated plumbers. For great service at a convenient price, there is no better plumber than ours at Plumbing and Drains Solutions! Contact us at (619) 345-5550 to schedule your service today!